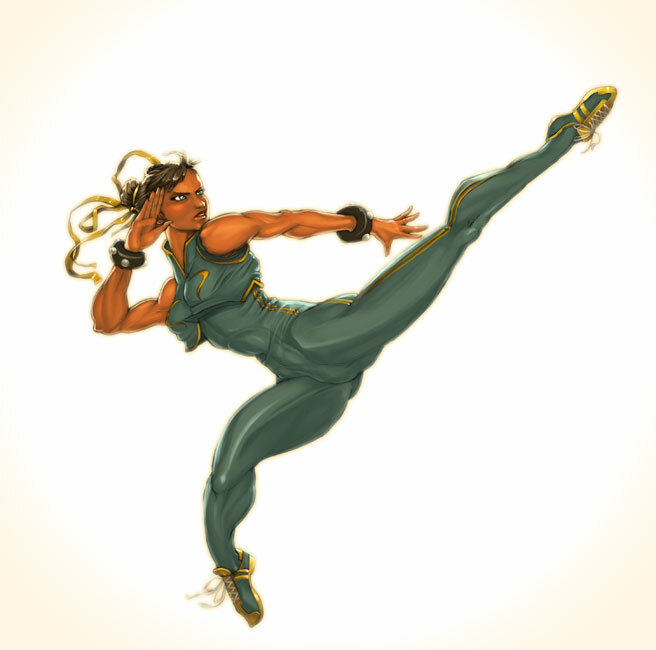 “for todays picture we have Chun-Li performing her spinning ‘Tenshoukyaku’ (‘Endless Rising Kick’). I’ve always preferred her outfit from the Street Fighter Alpha series compared to her qipao . It’s certainly more practical for fighting, and eliminates the need for pant-shots.